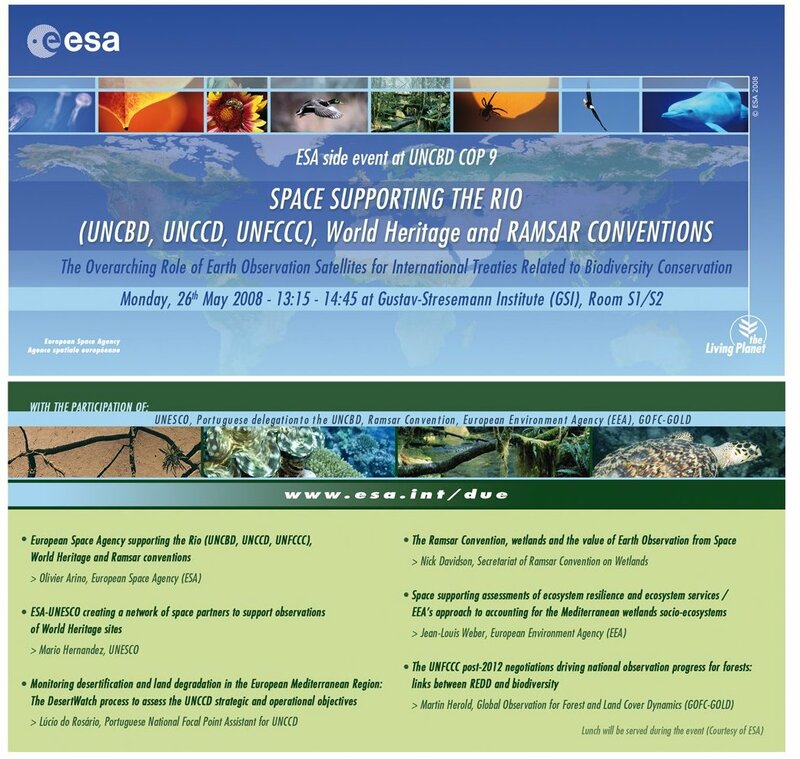 ESA will be present at the 9th session of the Conference of the Parties (COP-9) of the United Nation Convention on Biological Diversity (UNCBD) taking place in Bonn, Germany, on 19-30 May 2008. Signed by 150 government leaders at the 1992 Rio Earth Summit, the Convention on Biological Diversity is dedicated to promoting sustainable development. The Convention recognizes that biological diversity is about more than plants, animals and micro organisms and their ecosystems – it is about people and our need for food security, medicines, fresh air and water, shelter, and a clean and healthy environment in which to live. The venue of COP 9 will be the Maritim Hotel in Bonn, Germany. ESA is participating to COP-9 with a stand during the whole conference duration and a specific side event on ESA initiatives to support the Convention. 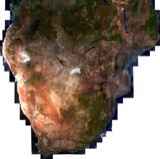 Earth Observation (EO) from space provides the means to monitor globally trends in indicators of biodiversity over space and time. 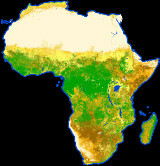 This side event highlights the overarching role of EO satellites providing critical information on benchmarks and indicators for the implementation of several United Nation treaties related to biodiversity issues - namely the Convention of Biological Diversity, the Convention of to Combat Desertification, the Framework Convention on Climate Change and the Ramsar Convention. Several international initiatives will be presented demonstrating a number of geoinformation services based on EO-technology ranging from coral reef monitoring to global maps of land degradation and various essential climate variables. The users of the provided EO services range from the UN convention secretaries, international organisations (e.g. FAO, UNESCO, UNEP), international research programmes (WCRP, IGBP), national agencies to NGOs, who have also been strongly engaged in the development of the products. The draft agenda of the side event can be accessed here.